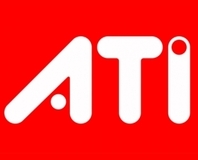 When AMD launched the ATI Radeon HD 4870 and 4850 graphics cards back in June, the company was back in the game in a big way. Nvidia had been sitting tight at the top of the market, announcing products that some would argue shouldn’t have been released and when it unveiled the GeForce GTX 200 series, it’s fair to say the company had underestimated AMD’s resolve and aggression. Instead of focusing on building a really big GPU, AMD decided to go down the route of architectural efficiency – getting the most performance into the smallest possible die space. 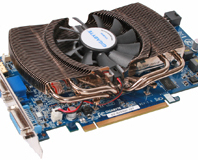 A lot of the design was new, but the basic principles were carried over from the Radeon HD 3800 architecture. One of the biggest optimisations in RV770 was its shader units. AMD put them on a diet for a few months and the result was that they used 40 percent less die space than they did in RV670 with the same functionality. This enabled AMD to increase the number of shaders by two and a half times without increasing the die size massively. The Ring Bus memory architecture was dropped in favour of a design similar to the one used in all of Nvidia’s graphics processors since G80, whereby each ROP partition has its own cache and 64-bit memory channel. Speaking of the ROPs, AMD also optimised this part of the GPU as well – there were optimisations made to the way the units handle multi-sample anti-aliasing. Not only was the hardware-based MSAA resolve fixed, but sample rates were increased as well when MSAA was enabled, as well as when processing pixels with 64-bit colour or Z-only samples. The changes described above really only scratch the surface of what AMD achieved with RV770 from a design perspective and we’d recommend reading our architectural analysis if you’re not familiar with all of the gory details. The result of AMD’s renewed focus was one of the most dramatic turnarounds in recent memory – many had written the company off in fact, but AMD hadn’t written itself off. 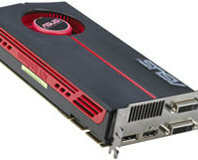 RV770 not only offered the best value for money in the all important £120 to £180 market segment with the Radeon HD 4850 and Radeon HD 4870, but AMD then later took the performance crown from Nvidia by pairing two RV770s together to make the Radeon HD 4870 X2. One of the interesting things about the Radeon HD 4870 X2 was that AMD doubled the amount of memory available to each GPU and in some scenarios we’ve seen greater than 100 percent scaling from the 4870 to the 4870 X2. The only thing that could have made this possible was the increased frame buffer, because the clock speeds remained exactly the same. This made us wonder how much of a difference the additional memory would make on the Radeon HD 4870 because, in the past, increasing the amount of memory hasn’t changed a card’s performance characteristics an awful lot. 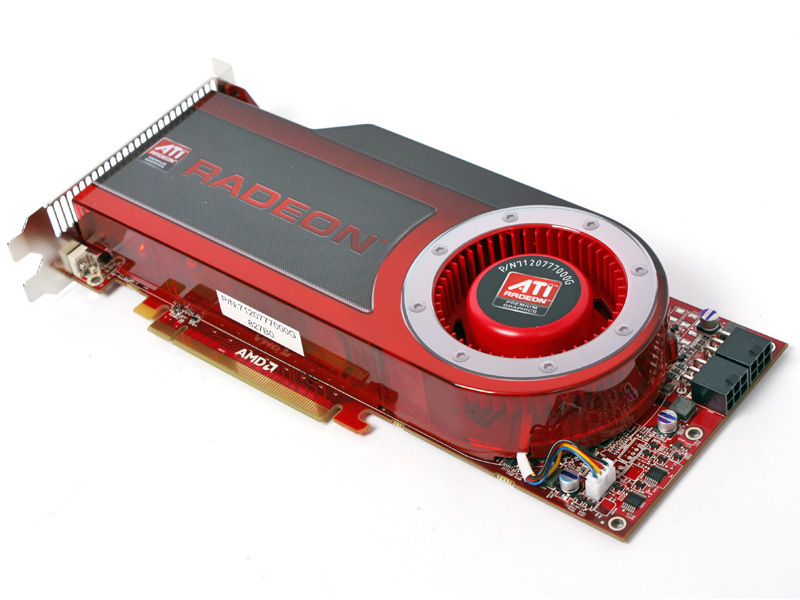 A few partners started talking to us about 1GB 4870s a few weeks ago, but we only received our first retail Radeon HD 4870 1GB on Friday. 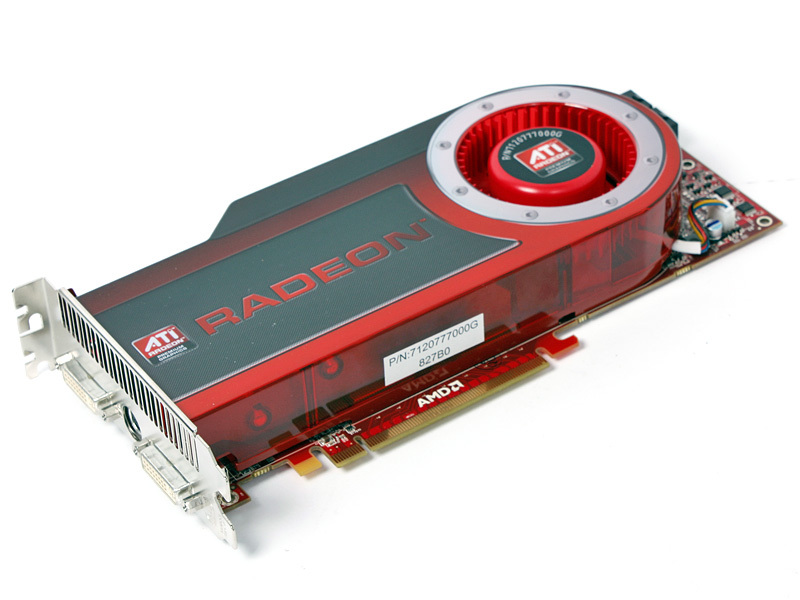 Before that arrived though, AMD sent us a reference Radeon HD 4870 with 1GB of memory earlier last week, signifying that this is anything but just a partner release when we were beginning to think that happened to be the case. This is something that often happens because it’s a way that partners can try to differentiate themselves from others offering essentially the same product. Now, we’re not quite sure why AMD didn’t release a 1GB version of the Radeon HD 4870 to start with, but it’s probably something to do with the supply of high-density GDDR5 memory. After all, 512Mb GDDR5 DRAMs were only introduced with the Radeon HD 4870 in June and 1Gb GDDR5 was only introduced with the 4870 X2 in August. Before we received the 4870 1GB in the post, Nvidia had decided to go on the offensive, allowing a few partners to pre-emptively release a competing product called the GeForce GTX 260. It’s different from the GTX 260 that was released in June though; this one has 216 stream processors (or nine of the ten thread processing clusters enabled) and 72 texture units – the rest of the chip remains the same, right down to the clock speeds. By all accounts, it shouldn’t be known as the GTX 260 because it just serves to confuse consumers, but we can see why Nvidia has done this. We looked at BFG Tech’s pre-overclocked GeForce GTX 260 OCX Maxcore a little over a week ago and found that it performed fairly well, but we felt the price needed to come down before it was a truly compelling buy.